Today we announce the release of Bitcoin Anywhere, a new beta service designed to help Bitcoin users more fully participate in online commerce. This invite-only beta will allow users to fund their Masked Cards (created through Blur) with their Coinbase Wallet, ensuring maximum financial security throughout the entire online checkout process. As the Bitcoin economy goes mainstream, there is an increasing need to be able to use Bitcoin at more places, provided that spending is ultimately compliant and is for legitimate e-commerce purposes. “What we aim to achieve is to assess consumer demand for a purchasing experience that balances innovation, convenience, compliance, and security,” said Andrew Sudbury, Abine co-founder and CTO. The beta program is limited to users of the popular Coinbase Bitcoin wallet and users must also use Abine’s Blur premium service (Blur lets anyone control their passwords, payments, and privacy). By linking Blur together with a Bitcoin wallet, a more accepted and more contextual Bitcoin-based e-commerce experience is possible. 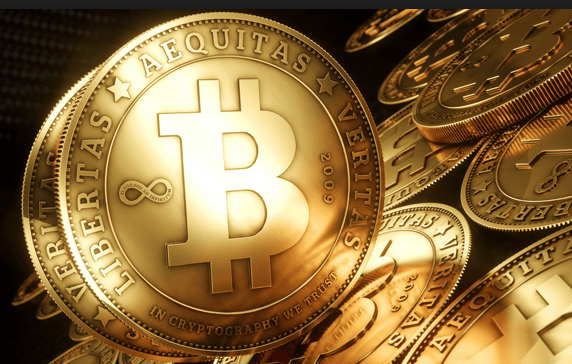 Everyone wants to know how Bitcoin would fare if it were more widely accepted by merchants. Leading VC’s who have invested in Bitcoin like Andreesen Horowitz, Lightspeed, Index, and Khosla Ventures are ultimately betting that consumers will come use Bitcoin if it is accepted more broadly. Similarly, the big Bitcoin startups like Coinbase, Circle, Bitpay, Bitfury, and Xapo are betting on wide acceptance catalyzing mainstream use. Abine plans to share the results of the beta program with key Bitcoin companies, influencers, and regulators in order to inform the ecosystem about the potential for broadening the pace of Bitcoin acceptance – from beyond the 85,000 merchants who accept Bitcoin payments today. Blur -Abine’s password, payments, and privacy solution- goes beyond Bitcoin wallets to give users other simple ways to be more private and secure online. 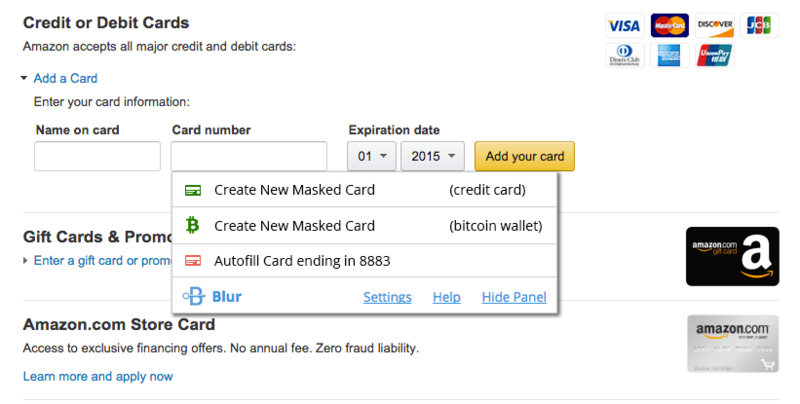 With one click or finger tap, Blur generates a new email address, strong unique password, and or one-time use secure credit card (masked card) that is sent to the site or merchant instead of the consumer’s real private information. Consumers thereby remain in full control of their real personal info while still being able to interact normally with popular web sites and services. Blur also automatically blocks hundreds of tracking companies from secretly collecting detailed data about what people do daily online. Blur comes in free and premium versions (Premium costs less than $4 per month). Blur premium service includes a new private phone number, unlimited new masked credit cards, as well as the ability to add and sync unlimited mobile devices to an account for one subscription price. To download and use Blur immediately, visit www.abine.com. This all seems awesome but how about you: 1. Accept Bitcoin payments for Premium subscription. 2. Eliminate the requirement of linking a credit card for users that want to link a Bitcoin wallet instead. Definitely great post about the new bitcoin launches I agree with you it would be better if you removed the feature that linking your bitcoin account to your credit card because some people might loss their money due to some technical errors. https://bitaps.com – Bitaps is a full node, Bitcoin Block Explorer with embided wallet and bitcoin merchant API for commerce.